This site is here to promote and inform new, current and prospective members about and rides and events that the Chapter is planning and to provide a Newsletter covering all past rides and events that can be downloaded. 1. Download teamapp from Itunes for Iphone or Google play for android. 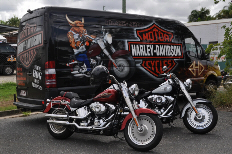 Rocky Harley-Davidson (RHD) is the long time sponsor of the Rockhampton HOG Chapter. 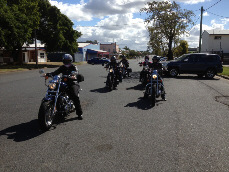 RHD provides the venue for our monthly meeting and is the starting point for all rides. RHD also provides a social meeting place we've named the Rumble Inn for members to gather and socialise on Fridays nights from 5pm til 10pm.